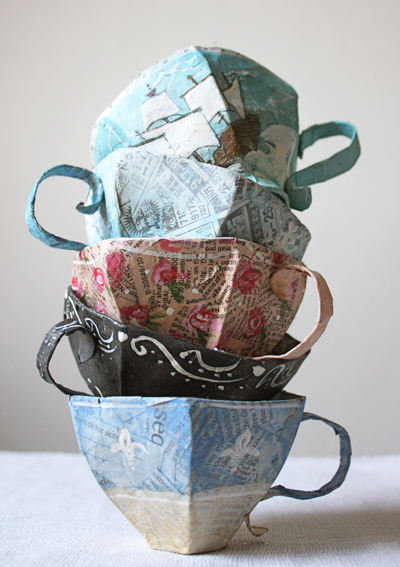 With the popularity of Alice in Wonderland Parties lately, I thought these paper mache tea cups would be a fun party favor. You could make them in a design that coordinates with your party and fill them with treats that are appropriate for your guests. Or you could stack them up and use them as decorations, which would be a lot less expensive than buying a couple dozen real tea cups. 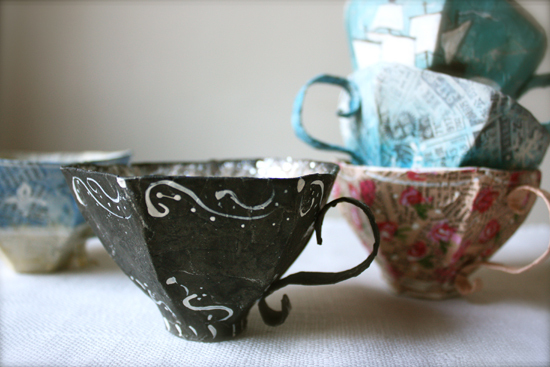 You can see the tutorial for these paper mache teacups over at Ann Wood Handmade. That is amazing! Love the little handles. So creative! Perfect for kids.